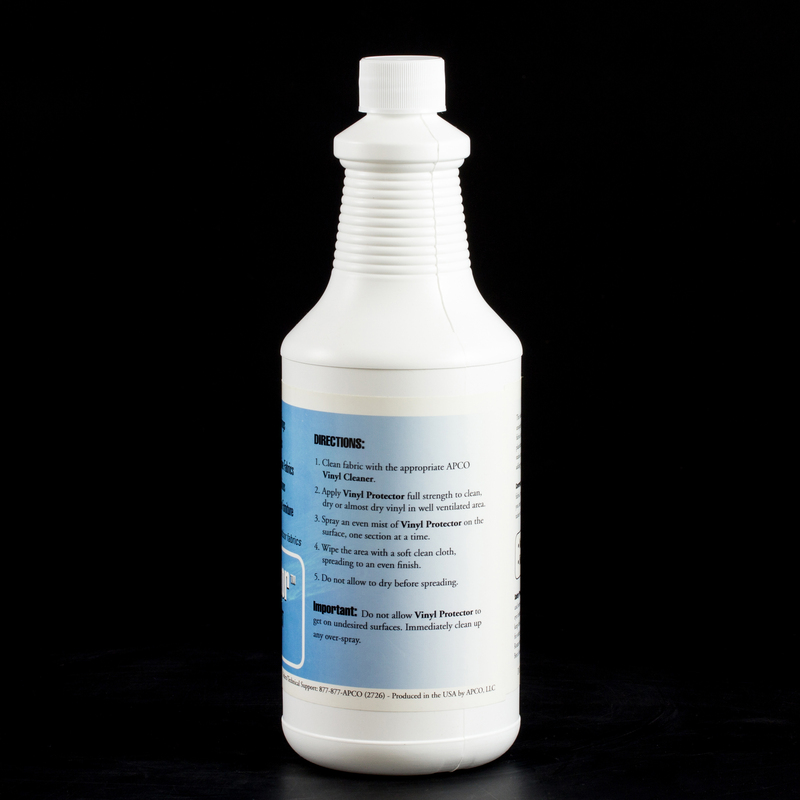 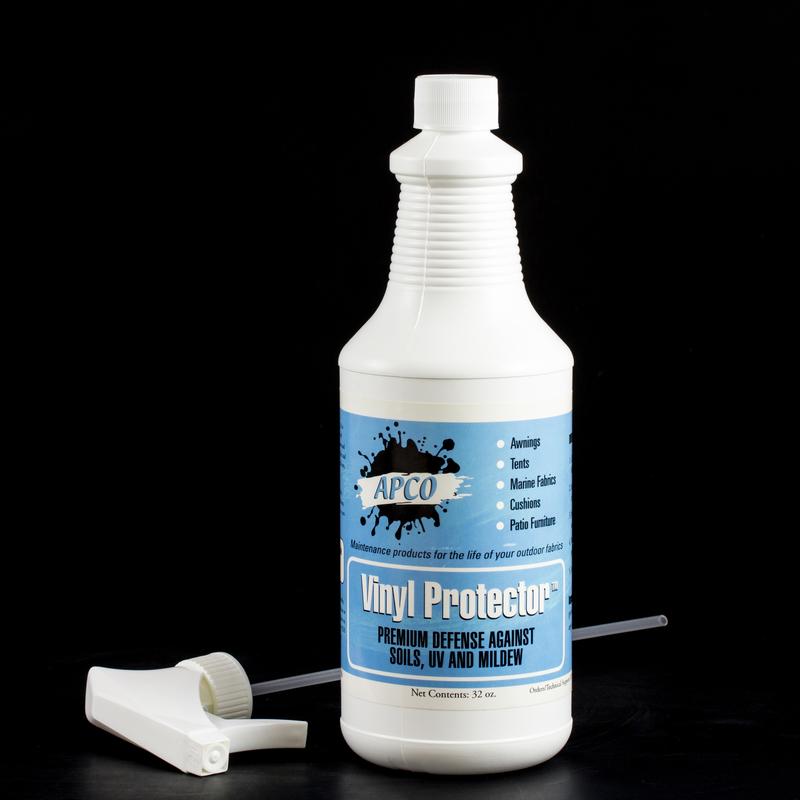 Vinyl Protector replenishes and maintains vitality to vinyl fabrics that have been subjected to environmental exposure and plasticizer migration. 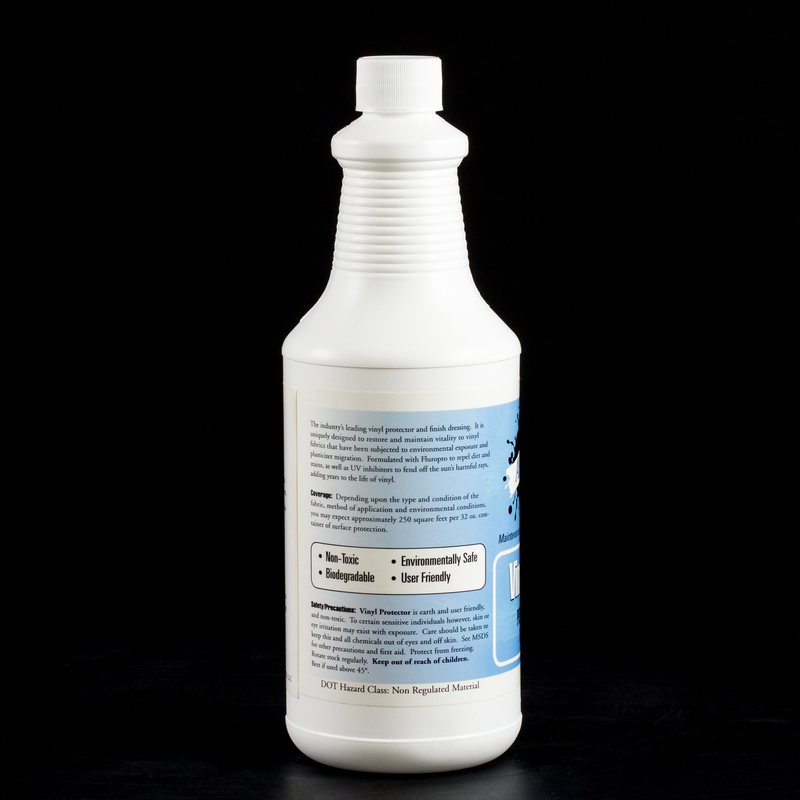 It’s formulated to repel dirt, inhibit stains, and minimize UV damage. 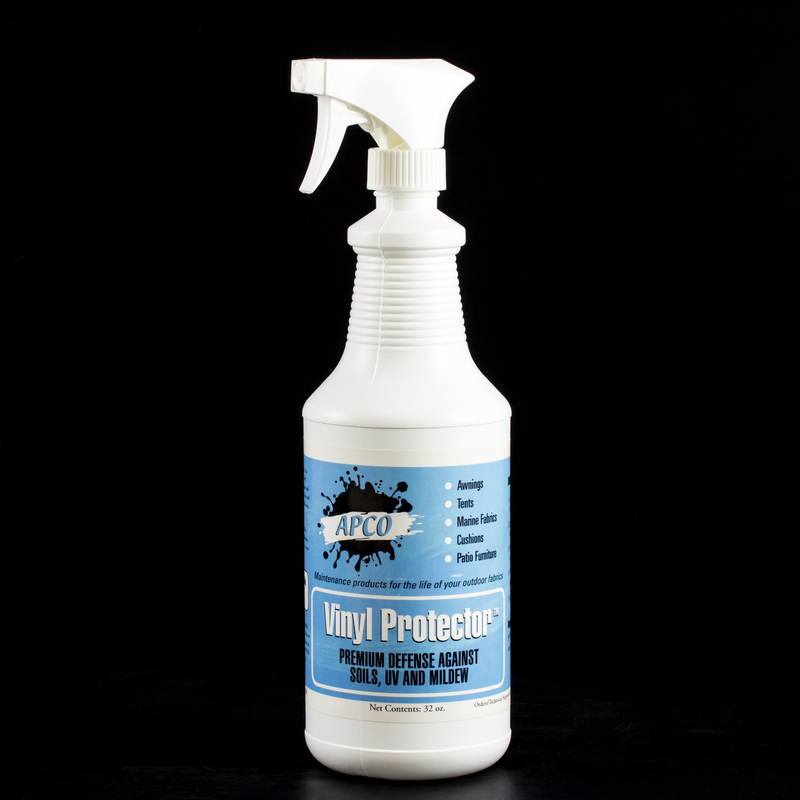 Vinyl Protector should be applied following every cleaning to help maintain the appearance of vinyl by offering soil, UV and mildew protection. 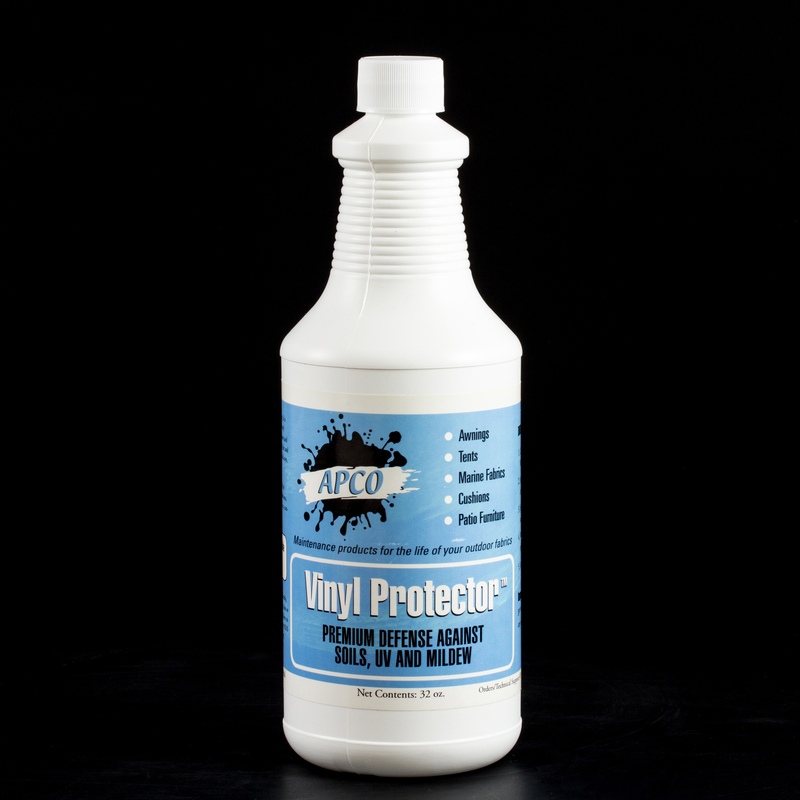 Depending upon the type and condition of the fabric, method of application and environmental conditions, expect approximately 600 square feet per gallon of surface protection.